Dubai: Over the last four decades, the UAE has gained global prominence in the aviation industry with Emirates airline in the cockpit. The carrier, which was established in 1985 with capital of a mere $10 million (Dh36.7 million), two aircraft and a small team of professionals, is on track to become the world's largest wide-body carrier by 2015, according to management consulting firm Boston Consulting Group in a recent study. Its home, Dubai International Airport, was also just starting out as a small base handling a handful of carriers. 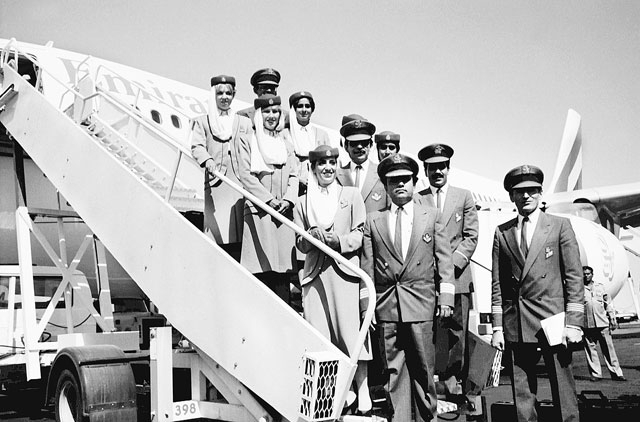 In 1969, Dubai International was ten years old and accommodated just nine airlines serving 20 destinations. Today, the airport is one of the world's major hubs with 150 airlines flying to 220 cities. 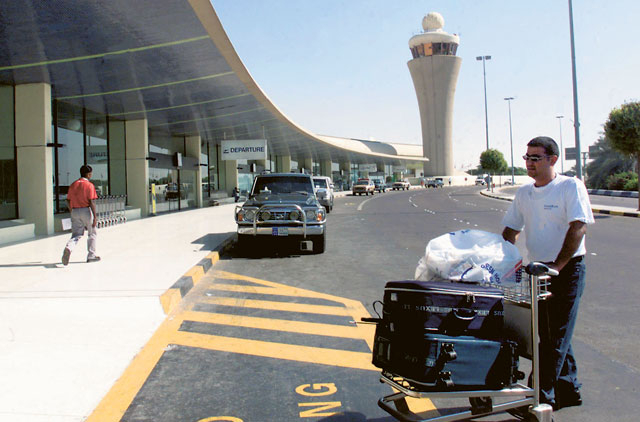 The 1970s experienced many developments at Dubai airport, starting with a new three-storey terminal, a new control tower, additional taxiways, lengthening of the runway, extension of aprons and improved airfield lighting and landing instruments. Today, there is not one but two airports serving Dubai, with the second to become the world's largest airport once complete. Last June Dubai Airports opened the first phase of Dubai World Central-Al Maktoum International airport for cargo, and passenger operations expected to follow next year. Paul Griffiths, CEO of Dubai Airports, said: "Dubai's half-century of aviation success is the result of a number of factors. The emirate has emerged as a regional epicentre for trade, commerce and tourism, reinforced by the quality of its infrastructure, political stability and, of course, its progressive attitude towards the aviation sector." The UAE's aviation industry reached new heights in November 2003 with the establishment of Etihad Airways in Abu Dhabi. Launched with a ceremonial flight from Abu Dhabi to Al Ain, Etihad joined Emirates in reaching out to the world. The carrier now has more than 100 aircraft on order. James Hogan, CEO of Etihad, said: "The UAE is a young and vibrant country that has captured the global imagination by demonstrating again and again that modern Arabia has so much to offer the world. I would like to take this opportunity to offer my congratulations to both the government and the people of the UAE. May the next 40 years be as successful as the last." In the same year the Arab world's largest low cost carrier, Air Arabia, was founded. The Sharjah-based airline has gone on to become the Middle East's first publicly listed airline via the Dubai Financial Market. Since its ambitious beginnings in 2003, Air Arabia has served well over 20 million passengers, as Adel Ali, the carrier's chief executive, points out. "The aviation sector in the UAE has a bright future," he said. "The industry regularly has to contend with challenges, whether oil prices or volcanic ash. "The current fragile state of the global economy presents a number of challenges, but the market is there and remains strong." Ali added that the greatest barrier to growth facing Air Arabia today is the same one confronting all regional carriers — the "lack of true open-skies policies" across the Middle East and North Africa region. Soon more airlines were lining up to take off. Ras Al Khaimah's RAK Airways was established in February 2006 and most recently Dubai saw its second airline, flydubai, the country's second budget carrier, taking to the skies in July 2008. According to Gaith Al Gaith, flydubai's CEO, low cost carriers in the Middle East have "great potential" even though they account for just 7 per cent of the traffic compared to 35 per cent in Europe. "The UAE's aviation industry has grown exponentially over the past two decades. The geographical location of the country at the crossroads of East and West has aided its passenger appeal, as it is an excellent stopover destination to break long flights between continents," he said. 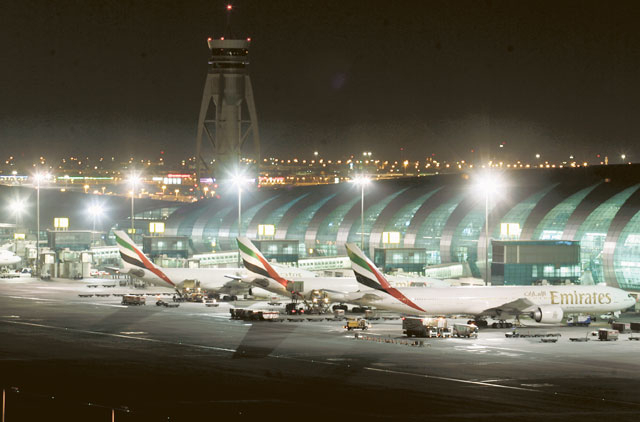 The aviation sector is expected to contribute $44.5 billion to Dubai's GDP by 2020, up from the current $22 billion. And the sector will account for 32 per cent of GDP by 2020, according to a report released recently by Dubai Airports and global research firm Oxford Economics. This would also see the aviation sector accounting for 372,900 jobs, representing 22 per cent of the emirate's employment. Dubai's aviation sector currently supports 250,000 jobs, representing 19 per cent of Dubai's employment. "It is home to the regional headquarters of some 10,000 global enterprises and to 1.8 million people of 185 nationalities. With a GDP of over $80 billion, 28 per cent of which is supported by aviation-related activity, the development of the aviation sector in Dubai has been treated as a strategic imperative propelled by a singular and compelling vision," said Griffiths. On a wider platform, it was recently announced by Sultan Bin Saeed Al Mansouri, Minister of Economy, that the country will invest Dh500 billion in its aviation industry over the next decade to make the country a global transport hub. The backing includes new aircraft for the five flag carriers in the UAE, massive investments for new airport capacity across the seven emirates, and plans for Abu Dhabi to become a regional centre for aircraft maintenance, manufacturing and flight training. With such massive scales of investment planned, there is only one way the industry can head, and that is skywards. 1968 Abu Dhabi Airport opens under the name "Al Bateen Airport"
June 2011 Air traffic movements in the UAE grew 7.6 per cent in May to 58,153, over the same month last year, according to the UAE General Civil Aviation Authority (GCAA) with an average of 1,876 air traffic movements per day.